Happy to be spotlighting Brian Rouff today and his book, The House Always Wins. Continue below to learn about the book, the author, the inspiration behind the book and a Q&A! 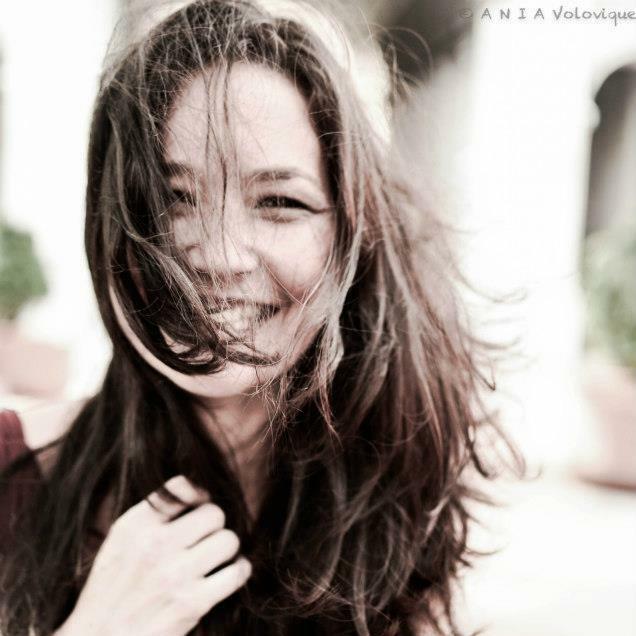 Anna Christiansen’s small-town life is about to go haywire. A young reporter stuck in a dead-end job, Anna falls head over heels for an interview subject, the bass player in an upand-coming alt band. In short order, she pulls up stakes, moves to Las Vegas, gets married and pregnant, and buys a big fixer-upper haunted by the ghost of a Sin City racketeer. That’s when she gets notice from a corrupt casino owner that he’s buying up all the properties on her street to make way for a parking lot. But Anna has poured her heart and soul into the house and digs in hard to fight the system — not the easiest of tasks in a city where bribery, mayhem, and murder are standard operating procedures. Can Anna’s tough-guy ghost provide the help she needs to prevail in this dangerous catand-mouse game? Will Anna’s life be left in ruins? Or worse? The house in “The House Always Wins” is based on an old fixer upper Brian Rouff and his family lived in from 2002-05 on St. Louis Ave. in Las Vegas. Purchased cheap because it needed a tremendous amount of work, it was an entertainer’s house — previously owned by Jack Eglash, a noted producer of musical shows on The Strip — who had worked with everyone from Sinatra and Elvis to Carson and Rickles. The St. Louis house was full of strange noises. Lights left on would be off, and drawers distinctly remembered to be open would be closed. There were even patches of strange temperature changes. 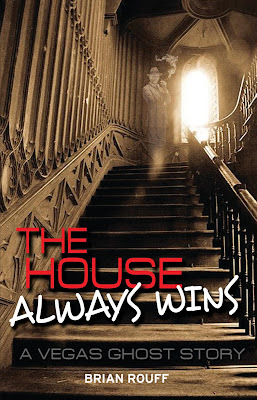 “The House Always Wins” is 10 years in the making. After self-publishing his last book, “Money Shot,” author Brian Rouff took a few years off. Rouff began writing in fits and starts in 2007 before the Great Recession brought progress to a screeching halt. Finally the economy leveled out, and he read what he’d written. Like most authors would do, he promptly threw it all away because he didn’t like it anymore and started from scratch. Because Rouff travels so much for work, “The House Always Wins” was written largely on the road — in hotel rooms and on airplanes. The book was finally completed in November, at which point he began talks with an old friend, Anthony Curtis, the founder of gaming book publisher Huntington Press. Curtis mentioned that the company had just partnered with PGW (Publishers Group West), one of the leading book sales and distribution companies in the United States, and was planning to re-launch its fiction division. Brian Rouff was born in Detroit, raised in Southern California and has lived in Las Vegas since 1981, which makes him a longtimer by local standards. A 1977 UCLA graduate with a degree in communication studies and a minor in journalism, Brian has spent his entire professional career in media and advertising. 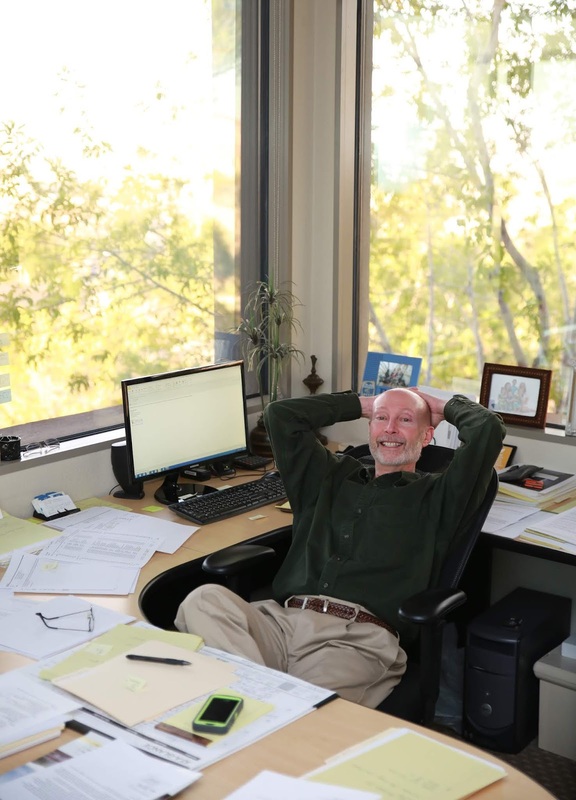 In 1987, he founded his own marketing firm, serving clients in such diverse fields as hospitality, computer consulting and sports information. In 2003, he merged his company with Imagine Marketing (now Imagine Communications), where he serves as managing partner. Brian is also a professional public speaker, having facilitated hundreds of advertising and marketing workshops during his 35-year career. He has also become a regular contributor to www.living-las-vegas.com. In 1999, Brian decided to fulfill a lifelong dream by becoming a novelist. His first book, “Dice Angel,” is a quirky mystery that gives readers a behind-the-scenes peek at the Las Vegas that exists beyond the Strip. “Dice Angel” is currently the top-rated Las Vegas book on Amazon.com, with a 4.8 average customer rating based on 127 reviews. Brian’s second novel, “Money Shot,” is the story of an unhappy middle-aged man who wins a chance at redemption by attempting a million dollar shot during halftime of the NCAA basketball tournament. 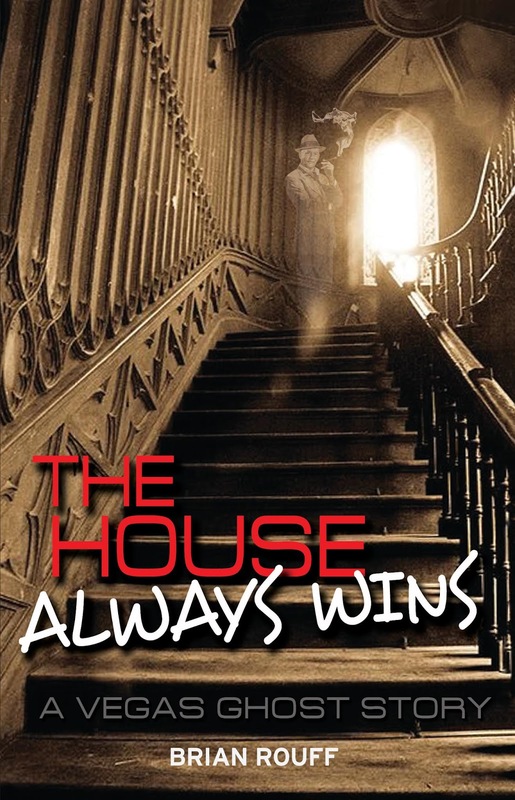 His third novel, “The House Always Wins,” released in October 2017, is a Las Vegas ghost story based on an actual haunted house the author and his family lived in during the early 2000s. On a personal note, Brian is married with two grown daughters and five grandchildren. In his spare time, he enjoys reading, movies, music, sports, and the occasional trip to the casino buffet line. Q: You’re an ad guy. How did you get into writing? A: Like most people, I always thought I had a novel or two in me. But I never got a chance until my mid-forties. By that time, I had spent more than two decades in the ad biz, writing every imaginable type of promotional material: TV and radio commercials, brochures, press releases, newsletters, you name it. It paid the bills but none of it was for me. Excellent training, though. It teaches you to get to the point fast. I tell people that writing novels about Las Vegas is how I handled my midlife crisis. Safer than a Harley and cheaper than a divorce. Beyond that, I wanted to write books that really capture what it’s like to live in this crazy town. Most books and movies about Las Vegas are written by “carpetbaggers,” folks who come here for a week or two and think they’ve got a handle on this place. I remember one famous author wrote about the “on ramp to Maryland Pkwy.” Stuff like that makes me crazy. Q: You’re a 60-something man. What made you write from the perspective of a 25-yearold woman? And what was that like? A: It was definitely a challenge. In my other books, the main characters were jaded middleaged men who knew Vegas inside and out, so I’d already told that story more than once. I wanted to do something different. Not only is Anna a young woman, but she’s new to town. She allows my readers to see Las Vegas with fresh eyes. Fortunately, I’m surrounded by young women — I have two grown daughters, and most of my colleagues at work are young women. So I would constantly ask, “Do young women know this?” “Do young people still talk like this?” “Do you know this reference?” “Do you know this movie?” It was very important to me to not slip up in that respect. I wanted to see if I could pull it off. Q: What was your writing process for this book? A: This book was different for me; I wrote it out of sequence. If I was inspired, I just wrote it, trusting the universe that I’d be able to stitch it together in some manner that made sense. That gave me a few sleepless nights. It’s also the only book I’ve written where I knew the ending in advance. So I wrote it first. Q: You’ve said this book is your most personal, which one wouldn’t assume since the protagonist is a young woman. So what does that mean? A: The beginning story is my dad’s story. He grew up side by side with The Purple Gang, Detroit’s Jewish version of the Mafia. In fact, they made the Mafia look like Boy Scouts. When I was young, he told me all kinds of cool stories about them. He was invited into the gang, but he knew there wasn’t a lot of future in that. It wasn’t for him. Which is why he lived to be 87, I guess. Dad’s been gone 20 years, and I haven’t heard those stories in at least 40 years. But the unconscious mind remembers everything — and what it doesn’t remember, you can Google. Q: How did you come up with the ghost’s personality? A: In addition to The Purple Gang, the ghost in the book is based loosely on Meyer Lansky and Moe Dalitz. A dead racketeer, he teaches Anna some lessons on how to fight the system. Like many Las Vegas scions of the community, he was on the wrong side of the law back in Detroit, but he reinvented himself here and became an honored, upstanding member of the community. Part of the lure of Las Vegas is you can reinvent yourself. Q: How do you see yourself as an author? A: There are many authors whose names are practically synonymous with a city they write about. There’s Elmore Leonard and Detroit; Laura Lippman and Baltimore; Carl Hiaasen and Miami. In Las Vegas, I feel there’s a vacancy, and I want to fill it. I’ve been here 36 years, and I’ve been paying attention and taking notes. I have an in-depth appreciation of the city along with an awareness of the usual annoyances. In my books, the city becomes its own character. I’m not there yet, but I think I can be. Q: How would you sum up ‘The House Always Wins’? A: I would describe it as a David and Goliath story that’s a fun and nostalgic blend of fantasy and reality.